It is estimated that over 150,000 organisations across the world use Salesforce in some way, shape or form. 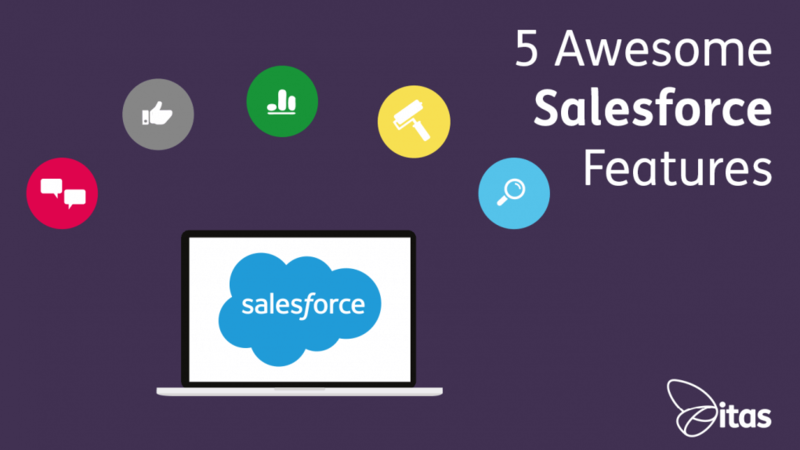 Almost 83% of Fortune 500 companies use Salesforce. Anyone who has attended a Salesforce event will understand that their 30,000 employees have created something of a cult. But, in almost all organisations we work with, there are awesome areas of the system that we feel are underutilised. Chatter is an enterprise collaboration platform. Often compared to social networks, it is a platform that allows your employees to follow and connect with one another. Building an organisation culture of collaboration and cooperation. Users of Chatter can share knowledge, follow topics and can have relevant content pushed through to their feeds without having to search for it. Chatter goes beyond just an internal social platform, it allows you a safe and secure space to collaborate and communicate with customers and suppliers; it’s aim being to make your business more productive, social and collaborative. In Lightning Experience, you can brand your org. Referred to as themes, you can choose either one of the built-in Salesforce themes or easily create your own custom theme that reflects your businesses brand. A theme is applied to your entire org and you can only use one theme at a time. By default, your org starts out using the standard blue Salesforce theme. Branding your org includes the ability to add your logo. You can also customise your Salesforce URL and brand the login page as well as having your brand colour used in headers and menus. This refers to the background colour used on the loading page when a user logs in. You can pick your main brand colour which will be reflected in areas such as buttons, headers, and the search bar. The App then chooses contrasting colours based on the brand colour you select for other user interface elements automatically. As well as the background colour, you can upload your businesses logo to appear on the loading page after a user logs in. Your Salesforce org contains an area called Field Audit Trail. A useful feature, the Field Audit Trail allows you to comply with industry regulations related to data retention and audit capability. A policy can be defined to retain field history that has been archived from up to 10 years. You simply choose the fields you would like to track changes to, for example maybe the ‘Credit Limit’ field on the Business Account object. The system will then track any changes to this field in a Related List. You can also pull this information into Salesforce Reports by accessing the Account History Report Type. Einstein improves with time and use. It will learn, get smarter and fine tune itself to ensure to have an intelligent data science department. Giving you accurate predictions, timely automation and intelligent recommendations to enable you to give personalised and predictive customer experiences. Available in both Salesforce Classic and Lightning experience, Validation Rules improve the quality of your data. You can specify standards a user needs to adhere to when they are entering a record and they are unable to save the record unless they meet those standards. Using formulas or expressions, a validation rule evaluates the data and returns a value of ‘True’ or ‘False’. This leads to an error message which will display to a user if the data they have entered is incorrect. You can specify what the error message will display and where it will display when a record fails to meet the standards. Salesforce is an evergrowing ecosystem, a combination of apps and integrations linking together to provide a seamless end-to-end solution. There will always be areas of the system you are yet to discover, but for us these are the key five. If you are currently using Salesforce and are interested in how an integration with Sage Financials could be of value to you and your business, get in touch with one of the team.